HMRC may issue a business or individual a tax decision that you don't agree with. Perhaps a penalty was issued in respect of a missed filing deadline when you thought you had a reasonable excuse, or the amount of tax HMRC deems due doesn’t seem to add up. Whatever the reason, sometimes an individual or business owner may want to query or challenge a tax decision made by HMRC. This article outlines what you can do when you want to appeal a decision by HMRC in relation to a direct tax, such as corporation tax, income tax, and capital gains tax. Please note that the information contained within this article is for general information purposes only. HMRC should write to let you know if you have the right to appeal following a decision. If you are unsure of whether you have the right to appeal, you can also reach out to HMRC and ask them in writing for clarification. Equally, you can speak to your tax adviser for further advice about what your next steps could be. Generally, once HMRC has issued its decision, you should launch an appeal within 30 days if you wish to do so. The appeal should be in writing. It can be written on the appeal form that should have been sent with HMRC’s decision letter or the taxpayer can write the appeal themselves. Once you’ve submitted your appeal, HMRC may agree with you and amend their tax decision accordingly. However, this will not always be the case. If HMRC does not agree, then usually they should offer you a review. Under the review process, someone who is independent of those involved in the original decision will review your case. You usually have 30 days to respond in writing to HMRC’s offer of a review if you wish to accept it. Generally, the review process takes around 45 days, although it may end up being longer. If you do not agree with the decision made following the review process, then you can submit an appeal to the tax tribunal. You should do this within 30 days from the date of the review decision. Note that the review process is optional, so if you wanted to appeal directly to the tribunal then you should be able to do so. Usually, if you escalate a disagreement to the tribunal, such appeals are first heard by the Tax Chamber of the First-tier Tribunal. If you are considering appealing a tax decision through the tribunal system, it’s a good idea to speak to your tax lawyer or adviser for further advice, particularly to understand the potential costs and time that your appeal may take. What happens to the tax in dispute during the appeal process? There are a number of different ways that tax payments and penalties are dealt with during an appeal. In the case of direct taxes, such as corporation tax and income tax, if the taxpayer disagrees with the amount of tax that HMRC believes is due that taxpayer can write to HMRC to suggest an amount that the taxpayer believes is the correct sum to pay and when payment should be made. Note that HMRC does not have to agree with the taxpayer’s proposal. Where the taxpayer disputes the amount of a tax penalty related to a direct tax, the penalty usually doesn’t have to be paid until the appeal has been settled. 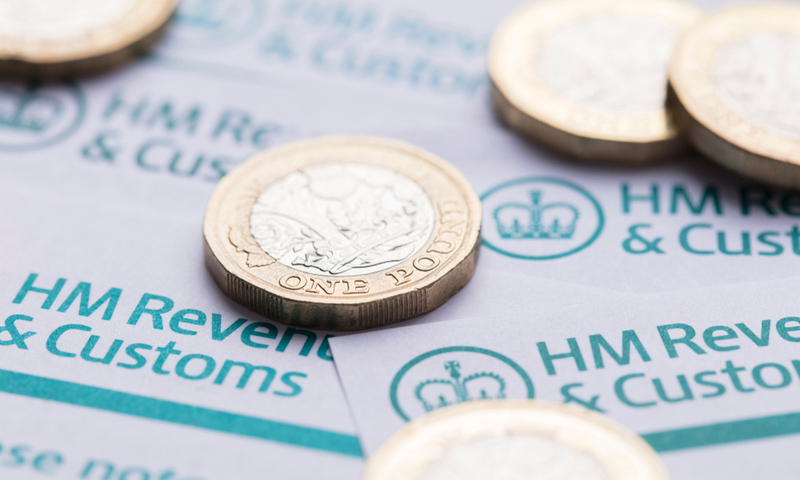 If you are disputing an amount of tax with HMRC, remember that you still have the option to pay the disputed sum in full and on time to HMRC while your appeal is ongoing. That way, if you then end up winning your appeal, you should be entitled to a repayment of some of the tax and may receive some interest relating to the overpayment. On the other hand, if you choose to postpone paying the amount of tax HMRC believes is due, or you pay only what you think you should, then it’s worth noting that you may be subject to late payment interest on the amount of tax outstanding along with the remainder of the tax due if HMRC wins the appeal. Some penalties, such as a penalty for filing a tax return late or paying your tax late, can be appealed on the grounds of a "reasonable excuse". Although there is no concrete definition in UK tax legislation as to what constitutes a reasonable excuse, HMRC has issued guidance indicating which excuses may be considered reasonable and which excuses would not likely be considered reasonable. Broadly speaking, HMRC could consider a reasonable excuse to be something preventing a taxpayer from meeting their tax obligation within the deadline, perhaps due to circumstances outside of that taxpayer’s control or through a combination of different events. Unexpected postal delays that were outside the taxpayer’s control. A lack of funds to pay a tax obligation. Alternative Dispute Resolution (ADR) is another avenue that taxpayers may consider using during a disagreement with HMRC. ADR should still be available as an option even if you submit an appeal or request a review as per the processes described above, provided that HMRC has not yet reached a decision on your case. According to HMRC, ADR "aims to help you resolve disputes or get agreement on which issues need to be taken for a legal ruling." Generally speaking, ADR tends to be used by businesses that have disputes with HMRC, although sometimes it is suitable for use in relation to an individual’s tax affairs. Further information regarding the ADR process, including which disputes may or may not be suitable for ADR, can be found on HMRC’s website. Appealing a tax decision by HMRC can take time, and sometimes money, away from a taxpayer, but the appeal process is in place to ensure that taxpayers are able to challenge an HMRC decision if they believe that decision to be incorrect. Thankfully, there are a variety of ways to dispute or appeal a decision, from internal reviews to alternative dispute resolution. If you are interested in appealing a tax decision by HMRC, consult with your accountant, tax adviser or tax lawyer for advice specific to your own situation.